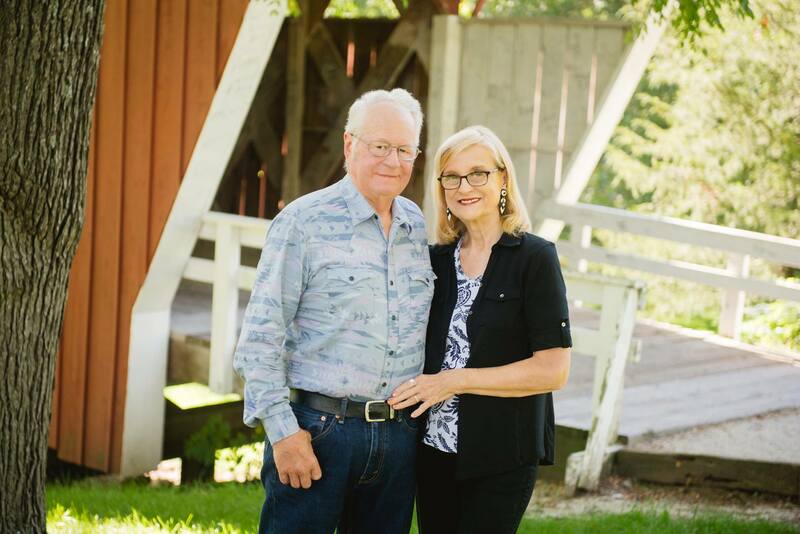 The Madison County Covered Bridge Festival Committee is excited to announce that Otto and Maxine Bussanmas will reign as King and Queen for the 49thAnnual Covered Bridge Festival celebration! Maxine was raised on a farm south of Prole and attended Martensdale High School, where she met Otto. Following their marriage they moved to Bevington where they raised their three sons; Jeff, Ken, and Tom. All three sons attended Martensdale-St. Mary’s Community School and are now married with families of their own. Otto has owned and operated Bussanmas Towing and Services in Bevington for 35 years. Maxine and Otto are co-owners of B&B Mini Storage, also located in Bevington. In addition to managing a home and raising a family, Maxine was employed in a variety of positions with Look Magazine, Farmers Grain Dealers Association, and Midwest Automatic Sprinkler Company. For twenty-three years, she worked as a district sales and marketing manager for Avon Products, where she supervised the activities of more than 400 independent sales representatives in seven counties. Maxine was later employed by Mercy Medical Center in Des Moines as the coordinator of volunteers. She now serves as the business manager at Bussanmas Towing and Services. Maxine has always been involved with youth development. As a young volunteer at the age of 19, she became the youngest girls’ 4-H leader in the state of Iowa. She served as a Cub Scout den mother and taught CCD classes in her local church for many years. More recently Maxine served as a volunteer board member for the Iowa Citizens Foster Care Review Board (ICFCRB) in Union County and was a contracted employee as an ICFCRB meeting facilitator in Clarke, Lucas, Decatur, and Ringgold counties. Maxine’s other volunteer work includes prior service on the Board of Trustees of Madison County Memorial Hospital, and as a worker and grief counselor for Mercy Hospice in Johnston. She has served as a member of the Bevington City Council for more than 20 years, and is a member of the Covered Byways Scenic Byway Council. Maxine currently serves as Bevington’s Mayor.